Answer: Most definitely. The recent wildfires in California are the worst on record, with a total of 7,980 fires consuming over 4200 km2 (1 million acres) of vegetation, homes, and businesses. As of this writing many are still uncontained. The long-term drought provided dry vegetation and a dearth of rain, and high winds spread the fires rapidly — at one point burning an area the size of a “football field” every 3 seconds. Even though the actual fires are hundreds of kilometers from here, prevailing westerly winds drove the smoke far inland from those fires. 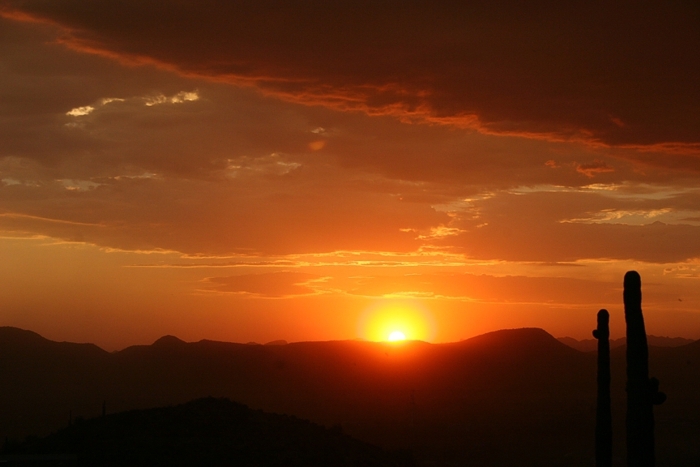 The photo above is a sunset as seen from New River, Arizona in early October when the wildfires were at their peak. You can see the haziness of the air. And that corona around the Sun is caused by diffraction of light around tiny smoke particles suspended in the air. The extreme reddish color is from enhanced Raleigh scattering. 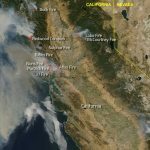 The image below is a NOAA satellite photo of the California wildfires. 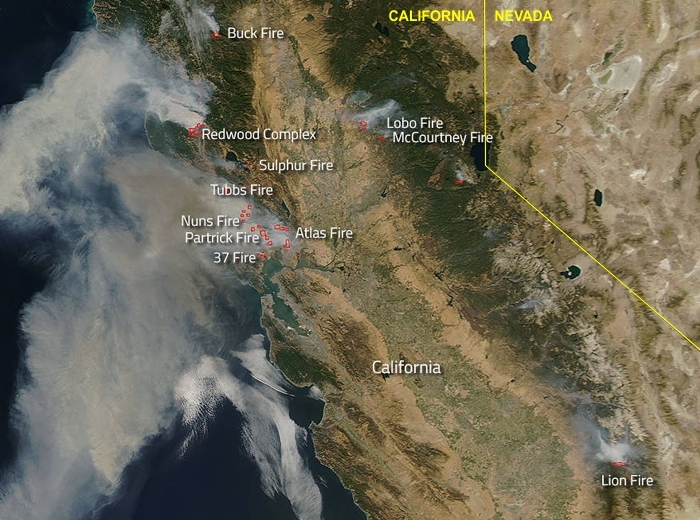 Most of the fires were clustered just north of Los Angeles, but the so-named Lion Fire was directly upwind of my location — and of New Mexico. The photo shows localized dense smoke, but the eastward-bound finer particulates are invisible. These smoke particles are around 1 μm in size (about 1/60 the diameter of a human hair). Updrafts from the fires loft them high into the atmosphere where they can be carried for hundreds of kilometers. So unless there was another wildfire burning in Arizona or New Mexico between our locations, it was probably the Lion Fire in California that caused your hazy skies. Dust storms here in the Southwest can produce the same effect, but it’s never as prolonged since the heavier dust falls out of the air in a day or two.